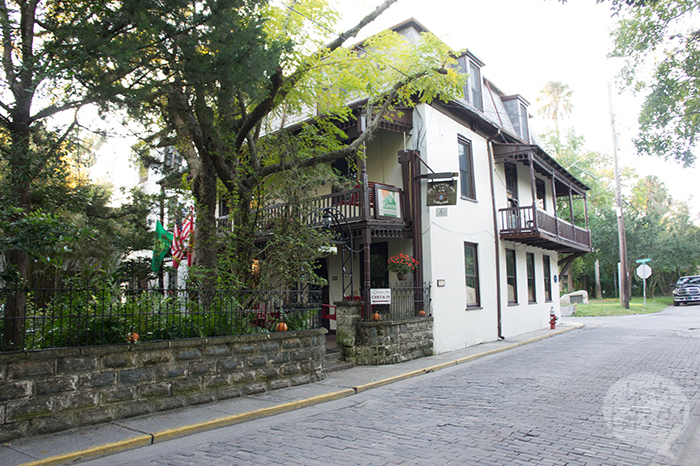 Take a stroll down St. George Street and you’ll find one of St. Augustine’s treasures, the St. Francis Inn. Not just a simple bed and breakfast, but also a home away from home. Offering more than any place I’ve stayed in all my years traveling. Nestled in the heart of the St. Augustine streets in a shaded courtyard, you’ll find yourself returning time after time to enjoy and take in this great city. The owners, Joe and Margaret Finnegan, have made sure that the St. Francis Inn is the place you’ll call home time after time when you return. The Inn dates back to 1791 and sits just down the block from the ‘Oldest House’; so to say that the Inn is rich in history could be a bit of an understatement. The St. Francis Inn has fantastic rooms that adorn great bonuses such as, pet friendly rooms, whirlpool tubs, private balconies and fireplaces. They have even added beach cottages to the collection if you’d prefer to enjoy the sand in your toes before breakfast at the Inn. 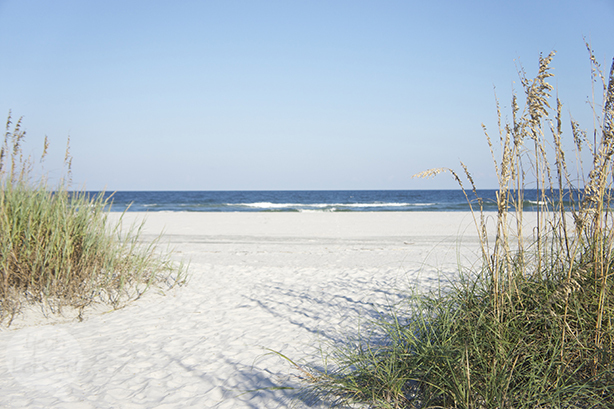 The beach cottages would make a fantastic option for families staying in St. Augustine. You don’t have to worry about your children disrupting the other guests at the Inn if they are being too loud or are just heavy steppers. The most alluring aspect of staying with the St. Francis is the amazing amenities that they offer during your stay. Each morning sip a latte while enjoying your buffet style breakfast. Tour the oldest city by bicycle and stop in to the St. Augustine Lighthouse and Museum. Take a swim in the solar heated pool or head to the beach. Pop back to the Inn for the Evening Social Hour to chat with other guests while munching on appetizers. After your lovely dinner in the plaza, but before you rest your head, enjoy a homemade dessert and a glass of sherry in your room. If you have trouble sleeping you can enjoy a midnight snack at the front desk or a delicious snickerdoodle cookie. Did I mention that all of this was included in your stay? Amazing, right? Being able to relax in the gorgeous courtyard with a fresh cappuccino and a light snack was so refreshing. With St. Augustine being a pedestrian city you could simply leave your car at the Inn with their onsite, off the street parking lot, and walk to everything there is to see in this historic city. The St. Francis Inn is now my number one spot to stay when visiting St. Augustine. You can’t beat the amenities and the “coming home” feeling you have there. Sit down and talk with anyone from the smiling staff and they can tell you the story of the St. Francis and how it became an Inn. Perhaps you’ll hear a ghost story or two as well. Stay tuned for more of our amazing visit to St. Augustine. I have always wanted to stay at a neat bed and breakfast type place the older the better it’s so much history in them. I love staying at places with history. And you can’t beat that location! Wow, this looks like an amazing place to stay! I would love to visit their sometime! 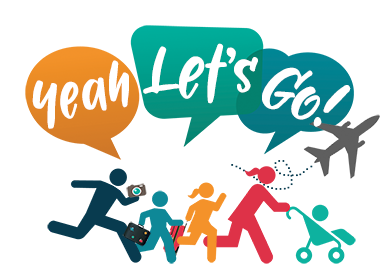 Okay, I’m ready to go right now…and while it’s family friendly, I think I want to do adults-only! i love bed in breakfast. I am going to check this place out. I really want to take my children to St. Augustine – and will have to remember this when we have a chance to go. I would LOVE to stay there. St. Augustine is such a beautiful city, isn’t it? On our last trip, I’m embarrassed to admit that we stayed in a chain hotel. It didn’t have the charm that the St. Francis Inn offers. What a charming little Inn! Homemade dessert and a glass of Sherry, sign me up! I would rather stay in a place like this with character and history than any newer, flashier hotel or resort. The amenities and location seem incredible. What an experience! 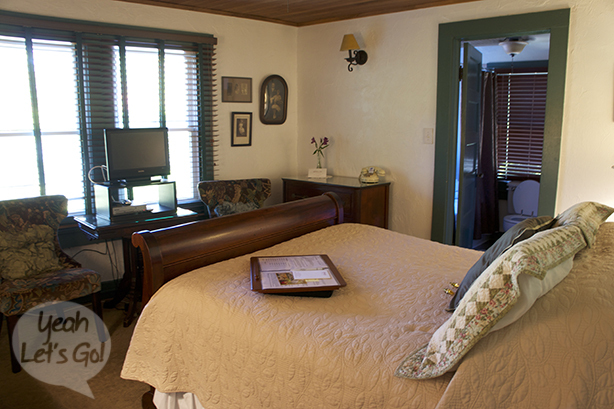 The St. Francis Inn looks like an adorable place to stay for a romantic getaway. That beach pic looks amazing! Where do I sign up? I was thinking about going to St Augustine next month. Don’t they have a huge light display? If so I think I’m going to look into a cottage for my family. Do We get the same amenities in the cottages? I haven’t been to St. Augustine since I was in the 4th grade! Beautiful pictures! My parents have been to St. Augustine several times and always rave about it. You and they are really making me want to visit myself. I’m not sure why, but we always automatically check out hotels when we decide to travel. We did stay at a B&B a few years ago in Chattanooga and I felt in love with the comfort of the room. It’s much more like home than a hotel room! 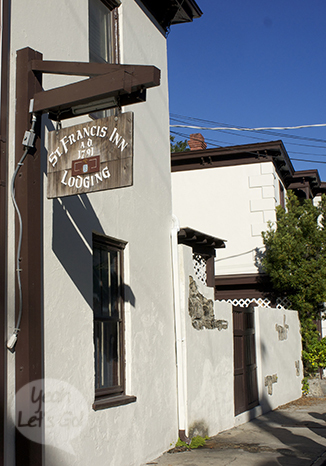 I want to stay in more inns filled with history like the St. Francis Inn. I’ve never stayed in a quaint little inn like that but I can really see the appeal. I hope I get down there one day to stay there myself! I used to live under 2 hours away and never visited. I have heard wonderful things about St. Augustine especially of the rich history and how romantic it can be for couples. This seems like a beautiful place to stay in a beautiful area. I would like to visit this place. It looks beautiful. I think it would make a beautiful getaway. Wow, very cool. We have been to St. Augustine several times but didn’t know about the St. Francis Inn. Guess we know where we will be staying next time. Thanks!